My Little Pony is one cartoon I never got around to watching, but that won't stop me from being in awe of this character model. 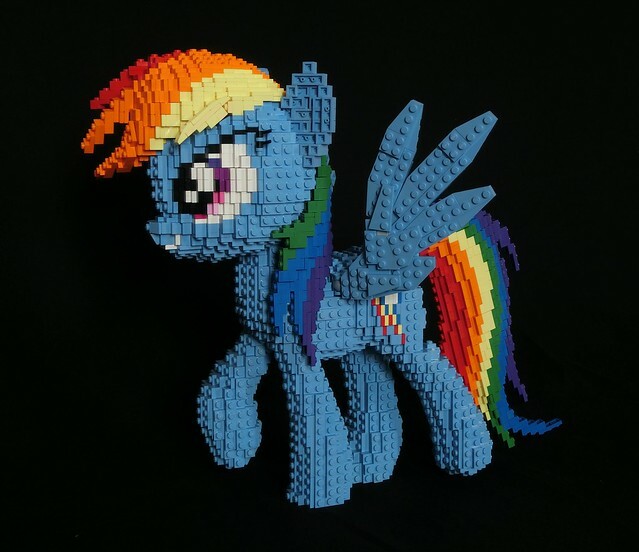 Andrew Harvey has done a remarkable job creating a perfectly organic figure of Rainbow Dash. If you squint, it almost looks like a frame of animation. Just look at all the layers of jumper plates in that eye! It's amazing.